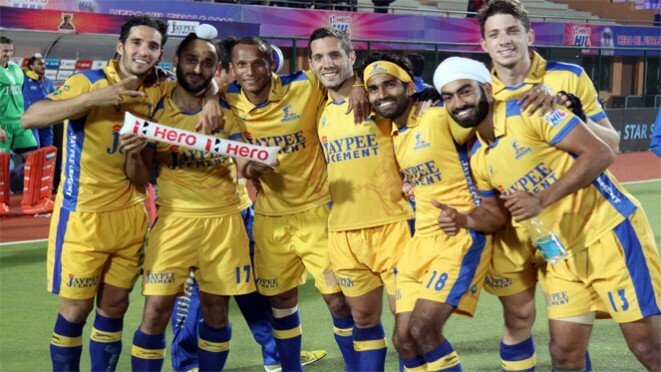 Ranchi, February 22, 2014: Sandeep Singh scored a brace to help Jaypee Punjab Warriors stun defending champions Ranchi Rhinos 3-2 in an exciting second semifinal and seal their place in the final of the Hero Hockey India League 2014 in Ranchi today. Jaypee Punjab Warriors, who finished fourth last year, will take on Delhi Waveriders in tomorrow’s final at the Astroturf Hockey Stadium. Unlike the first semifinal, the second last four match was a fast paced encounter. Ranchi Rhinos made a bright start and were undoubtedly the better side on display at least in the opening half. Ranchi Rhinos took the lead in the 15th minute through Englishman Ashley Jackson who converted their first penalty corner to have the upperhand at the end of the first quarter. Jaypee Punjab Warriors, however, drew level minutes into the second quarter through their star drag-flicker Sandeep Singh. Sandeep converted the Punjab side’s first penalty corner in the 24th minute to register his 10th goal in the tournament. Rhinos and Warriors earned a penalty corner each before the break but the chances went abegging. The intense battle between the two teams continued after the change of ends but it was the Warriors who had the better share of chances. Jaypee Punjab Warriors earned three more penalty corners in the third quarter, the last of which was converted by Sandeep in the 52nd minute to mark his second goal of the day and 11th in the tournament. Jake Whetton (55th minute) then scored with a fierce strike from the top of the circle to make it 3-1 in favour of the Warriors before Floris Evers (58th minute) reduced the margin three minutes later for the Rhinos with a field goal to bring the stadium alive. 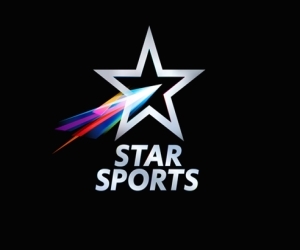 Ranchi Rhinos got a golden chance to draw level in the final minute of the match through their third penalty corner but an alert Jaap Stockmann in Warriors goal dived full-length to his right to keep out Jackson’s grounder flick, which incidentally was the last action of the day.